As the real estate market shifts toward online growth and mobile-friendly technology, it is important to work with a well balanced agent that keeps up with our forever changing digital culture. Yet still possesses and values tradition means of building relationships. As a born and raised Brooklyn native, Andrew offers a wealth of knowledge and information only obtainable from being a life long resident of New York City. An invaluable asset to out of state clients and locals alike, Andrew prides himself on costumer service, constant communication and surpassing his client’s highest expectations. A homeowner himself, Andrew understands the emotion ties that can come with buying and selling a home. He will be there to advice and guide you each step of the way relieving any doubt or fears. 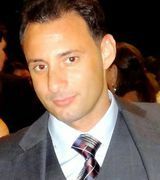 Prior to entering the Real Estate industry Andrew had the privilege of serving his city as a Detective with the NYPD and was also a business owner in Bay Ridge Brooklyn at the early age of 22. Outside of the office Andrew cherishes spending time with family and his two nephews. Exploring the culinary food and drink scene is a favorite pastime and running, eating well and staying active has become a lifestyle. What also has become a lifestyle is Andrew’s passion for snowboarding and never ending need for adventure. He has snowboarded around the globe and laid tracks in 4 continents and 7 countries. From single and multi family homes to co-ops and condo, Andrew has represented a diverse range of homeowners and buyers and understands the process can often be challenging and complicated. He focuses on taking the pressure off you, so that you can make clear and conscious decisions throughout the process. Please call Andrew today for a pressure free discussion about your real estate needs. He is eager to serve you.